It has been about six years since I first heard about Candle Cafe's gluten free menu. Six years! I can't believe it has taken me so long to finally check it out, but I attribute it to the restaurant being a bit out of the way from my normal routine and how busy it is when I have passed by it before. Anyway I finally checked out Candle Cafe with my friend Kim last night. When I first arrived I was a bit early, so I put our name down with the hostess. Upon walking into the restaurant, an array of "green" smells assaulted me in the best way that one can be assaulted. I don't think I have ever entered a restaurant that had such a fresh scent to it, not even my favorite vegan restaurant Real Food Daily. The restaurant is cozy but didn't have much of a wait on the Tuesday night we visited. I had checked out the menu earlier in the day and had an idea of what I wanted to order and, after consulting with the waitress, went ahead and ordered the Mole Baked Tofu. It sounded like an interesting option and one that would give me an idea of how the restaurant dresses up its tofu plates, an otherwise bland food. Despite a bit of a mix-up with my order it came out fairly quickly and we dug in to our plates. My dish came with a heaping pile of quinoa, kale, and two sizeable pieces of tofu topped with avocado. The dish was plenty large and filling but wasn't all that flavorful. I found the tofu to be a bit bland and the mole sauce to be lacking in strong flavor. Kim, however, loved her dish (which wasn't gluten free) so it gives me hope that Candle Cafe may have better options on the menu. If I do go back to the Cafe, I won't be ordering the Mole Baked Tofu again. 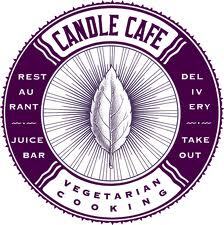 All in all, I had great company but wasn't thrilled with the food and am not sure I'd revisit Candle Cafe. A few weeks ago I went home to run the Boilermaker, one of the largest 15K road races in the country. It's an enormous event in my hometown, with about 11,000 runners participating in the 15K and thousands of others participating by volunteering or being spectators along the course. It's a fun race and one that ends with free beer courtesy of Saranac Brewery. Needless to say that bit of fun is lost on me as they don't have the Bard's Tale Beer available (which is produced at the brewery as a contract brew). I was happy but not ecstatic with my time (about 67 minutes); after having gone out too fast in the first mile I faded in the following two. Hopefully next year I'll be able to demolish that time. After the race my parents threw a barbecue for some of my dad's running friends and, as luck would have it, one of the invitees had a great gluten free recipe she wanted to put to use. For those of you following my Instagram account you have already seen the beautiful photo to the left... and here it is again in all its glory. And if you aren't following me on Instagram - why not? My username is GlutenFreeways and I try to keep a good log of particularly delicious gluten free meals. Anyway, I've included the recipe for the Chocolate Roll Cake below. I've already asked my sister to make me one when I next visit her in Philadelphia. (2) Butter wax paper on both sides to fit pan. (3) Heat oven to 350. (5) Beat whites till stiff. (6) Mix cocoa and sugar by hand and beat into whites a little at time. (8) Spread batter evenly in pan and bake 20 minutes. onto dishtowel and peal off wax paper. (10) When cool, spread whipped cream on top and roll. (11) Sprinkle confectionary sugar on top. You regular readers may have noticed a few updates on my page recently. First off, I have a new design compliments of my friend Katy Jones. She does amazing designs for Junk Food Clothing and graciously agreed to do some help designing my new logo. You can also check out her Tumblr here: http://whatkatyjdid.tumblr.com/. The new logo reflects my relocation to New York by including the subway and lettering similar to what you see on the subway. While I miss the original design of the interchange between the 10 and the 405 freeways in west L.A., I felt that it was time to reflect my new location with a design. I hope you like it too - I'm open to any and all comments! In other news I deleted my Facebook page. I couldn't tap into all of the features and found it very repetitive having Twitter, Foursquare, and (now introducing!) Instagram (under the name Gluten Freeways). I think with all of these features you'll be able to keep up with me and where I'm eating Gluten Freeways through microblogging, geographic check-ins, and now photos. Feel free to add me on any of these social media sites (links below) - I look forward to your comments. If you're averse to social media, stick with the regular blog and you won't miss out (on too much). Both Instagram and Foursquare are linked to my Twitter, so that is the main source for Gluten Freeways info other than the blog. You can follow me on Instagram under the username Gluten Freeways. I'm really excited about these new social media ventures, the site redesign, and what's coming up with Gluten Freeways and hope you are too.